Jump into the action right away using the Skill Quest tutorial system, new to Magic Duels. Fast-paced, interactive tutorials teach you gameplay quickly and easily—just like learning from a friend. 1. Deck/Library – A set of 60 cards filled with Spells and the Land needed to cast them. 2. Graveyard – The discard pile. Instant and sorcery spells go here when they resolve. 3. Hand – Each player starts with seven cards in-hand. The maximum hand size is seven cards. 4. Avatar/Life – Each player starts with 20 life. When you reduce your opponent to 0 life, you win. 5. Game Phase Indicator – Phases occur in this order: Beginning, Main, Combat, Main (again), Ending. 6. 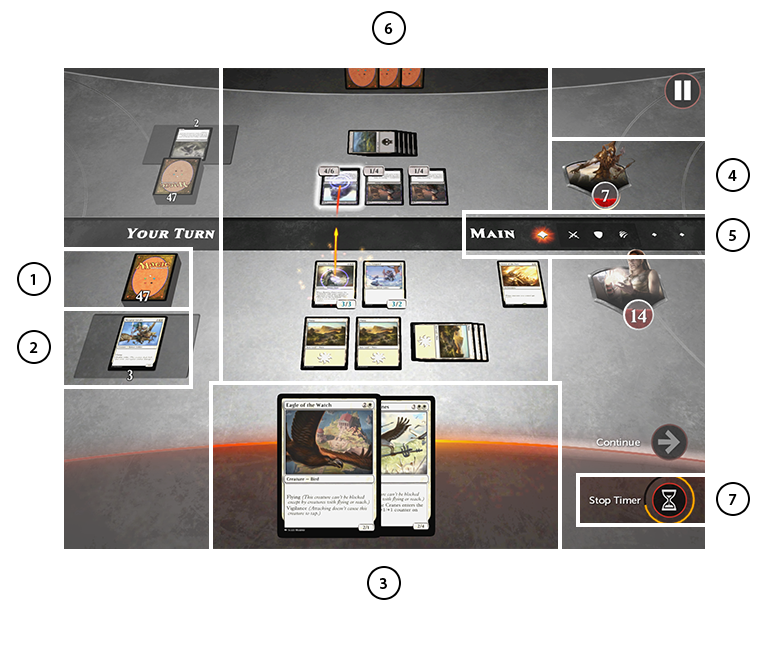 Battlefield – The shared zone between players where spells are cast. 7. Stop Timer – Certain spells can be cast at any time, even during your opponent’s turn. Solo Battle: Play against thousands of AI opponent decks! You can earn coins with every win as you test and battle with your favorite decks against opponents of varying difficulty. 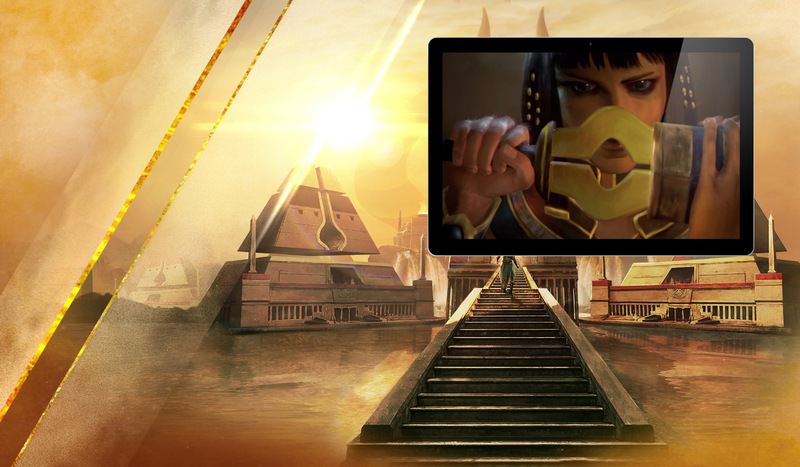 This mode offers virtually endless gameplay for new and experienced Magic players alike. Versus Battle: Are you ready to take on the world? Take your latest decks into battle against a friend or a randomly matched opponent. Earn coins for every win against a matched opponent. Two-Headed Giant: Pair up with a friend, the AI or a randomly paired teammate in this fan-favorite format. No matter which type of teammate you choose, you’ll then face off against another human/AI or AI/AI team. Additionally, PC and console players can also be randomly paired against human/human teams.